The new Ford EcoGuide goes a step further than previous fuel saving systems which tell van drivers went to change gear as the new offering will also ‘see around corners’! By doing so, the new system will show drivers when to change gear and will help, Ford says, give their ‘brakes a break’. The new Ford EcoGuide will help drivers save fuel by highlighting when they should change gears and slow down. This will lead to lower fuel bills by avoiding any unnecessary braking and unnecessary acceleration. Ford says that van drivers could save around 12% on their fuel bills by simply changing their driving habits. 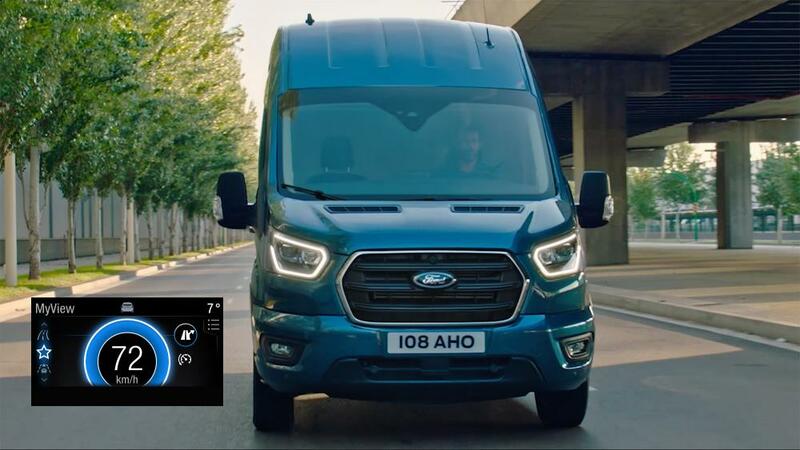 For commercial vehicles, the EcoGuide technology will integrate with the satnav and will be added to the new Ford Transit and to other vans later this year. The big attraction – in addition to slowing down and changing gears – is that the satnav will also highlight when drivers should take action before they reach junctions, hill and speed limits. The introduction of the EcoGuide will begin in a few months and then be introduced to the Transit Custom and the firm’s Tourneo Custom people carrier. The new system will also offer drivers feedback on their driving styles and habits by analysing their braking and acceleration style along with gearshift and cruising patterns. The report is received at the end of every trip. The new system is just one of the features on the new Transit, which has an increased load carrying capability and new engines with fuel efficiency boosted by 7%. There’s also a new diesel EcoBlue hybrid powertrain choice, a first for the segment, which is 3% more fuel efficient than Ford’s standard diesel offering and in urban applications, could deliver fuel efficiencies of 8%. The new Transit is also more connected than previous models and will help fleets deliver better running costs and utilisation. It is following in big footsteps too as the Transit set a new sales record in the UK last year and the Transit Custom was the country’s third most popular van.